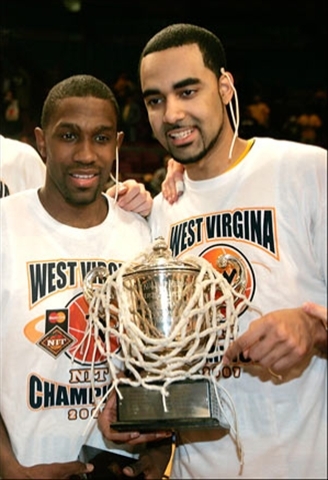 West Virginia won the NIT Championship on Thursday by beating Clemson, 78-73. I was disappointed that they didn’t make the NCAA tournament, but this helps. Of course, the big story is not the victory, but the misspelling of “Virginia” on the T-shirts. I didn’t even notice it immediately after the game. A co-worker pointed it out to me Friday morning. He approached me laughing with a newspaper in his hand. He showed me the picture that accompanied the newspaper article, and we had a good laugh. In my opinion, someone just made a mistake. I believe it was unintentional because of the potential damage to the manufacturer. How many people want to buy T-shirts from some company that can’t correctly spell the name of one of the fifty states? But, on the plus side, it did give WVU a little bit of extra publicity. Even more than simply winning the tournament itself. As they say, “Any publicity is good publicity.” Especially when it’s not your fault.